People involved in making a material used to enhance computer and phone touch screens could be at risk of lung damage, according to new research. 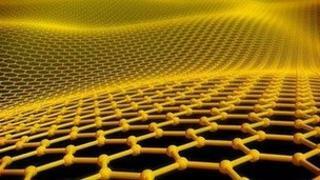 Scientists at the University of Edinburgh have been studying the behaviour of the so-called miracle material, graphene. They say, when produced in a certain form, the ultra-thin carbon contains tiny particles known as nanoplatelets. These can lodge in the lungs and may cause health problems, the study found. Graphene, first identified in 2004, has been hailed a revolutionary material and heralded for its superconductive properties. The flexibility of these disc-shaped particles, known as nanoplatelets, allows them to be readily incorporated into plastic and rubber, giving them new and useful properties. They can also be used to enhance the electronic properties of touch screens. The Edinburgh scientists found that the nanoplatelets, which are invisible to the naked eye, behave like tiny frisbees and stay airborne. But the researchers said their aerodynamic properties also mean that when inhaled, they can find their way deeper into the lungs compared with other forms of graphene. The scientists said the particles could accumulate in the lungs and cause damage. This could potentially affect the health of people involved in manufacturing and handling graphene-based nanoplatelets. Prof Ken Donaldson, chair of respiratory toxicology at the university, said: "We need to further assess the potential hazards posed by nanoplatelets made of graphene and other materials, so that appropriate health and safety measures can be put in place for those involved in their manufacture." The findings of the study were published in the journal ACS Nano.